The beauty industry is abuzz with “super ingredients” that claim to work miracles on your skin – like peptides. Peptides have been dubbed as one of the critical breakthroughs in skin care. What is all this fuss about? Is it really something worth your attention, or is it just another beauty fad? After you finish reading this the article, you will understand why the beauty industry is obsessed with peptides. Let’s get started. What Do Peptides Do For Your Skin? Peptides are chains of amino acids and building blocks of proteins in your body. 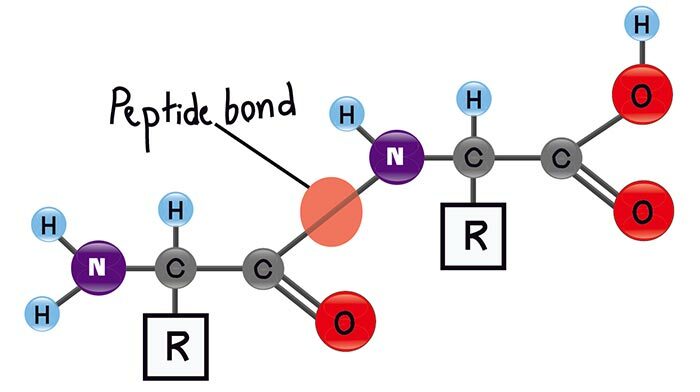 When amino acids combine in various formations, they create a variety of peptides. And when peptides are formed in a certain way, they create specific proteins. If you are wondering why this information is important, read on. Proteins are the most basic building blocks of your skin, organs, and tissues. And collagen is one of the most important proteins in your body. About 75%-80% of your skin is made up of collagen protein. That’s why when your collagen production is optimal, your skin looks beautiful. And this is where peptides can help you – by boosting your collagen production. Let’s explore this in detail. In a double-blind clinical study, researchers studied 20 women between the ages of 40 and 62 years. They were given a formula containing 3% collagen-like peptide and 1% booster molecule. They applied the gel on their eye area for four weeks. The results showed a significant reduction in the surface as well as the depth of wrinkles (1). 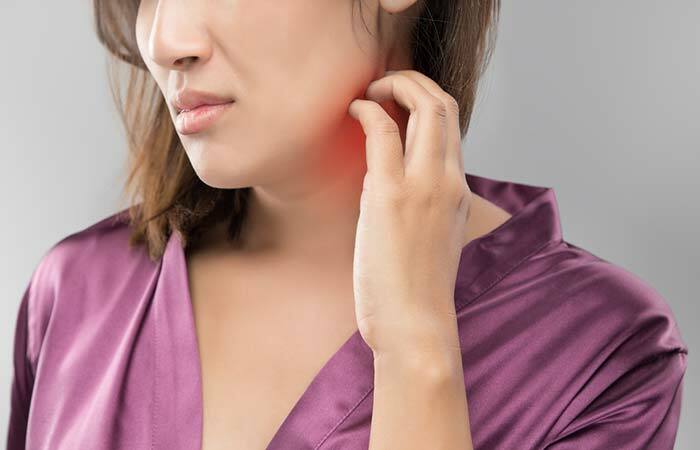 Erythema or redness of the skin may occur due to a variety of reasons, including infection, inflammation, or increased blood flow in your superficial capillaries. A six- month study on 20 subjects found that both Carnosine (a dipeptide molecule) and N- acetylcarnosine (related to the dipeptide Carnosine) can help reduce erythema when applied to the skin. The researchers also found that these two peptides had antioxidant properties (2). 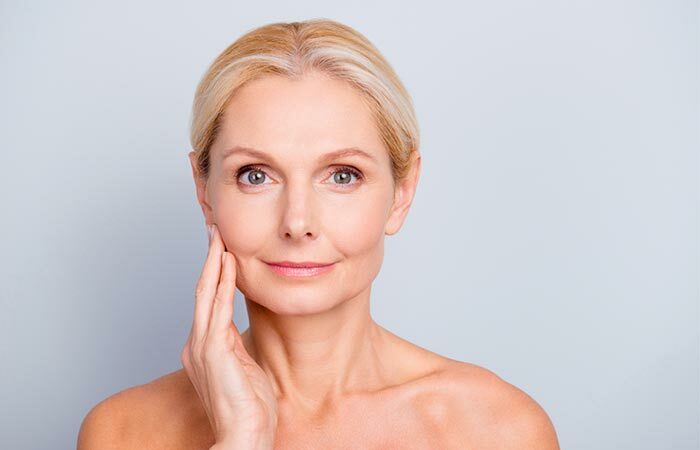 In two separate studies, each examining the anti-wrinkle and anti-sagging effects of Trifluoroacetyl-tripeptide-2, it was found that this peptide improved skin firmness and elasticity and reduced skin sagging (2). According to a study, palmitoyl tetrapeptide-7 has anti-inflammatory effects on your skin. It suggests that this peptide reduces the secretion of IL-6, thus decreasing inflammation after UVB exposure. A blend of palmitoyl tetrapeptide-7 and palmitoyl oligopeptide also improves the extracellular matrix structure (a network of extracellular macromolecules including glycoproteins, enzymes, and collagen that supports the cells) (2). There are about hundreds of peptides out there. However, only a few are used for skin care. Here’s a breakdown. These are X-50 Myocept, Copper Peptides, etc. Carrier peptides help in carrying stabilized trace elements like manganese and copper to your skin. These trace elements help in boosting collagen development, improve your skin elasticity, and aid wound healing (2). Copper peptides are commonly used in anti-aging skin care. These are XEP-30, Palmitoyl Tripeptide-38, Palmitoyl tetrapeptide-28 Argireline, Syn-Ake, etc. Neurotransmitter inhibitor peptides inhibit your muscle contraction, giving your skin a botox-like effect. If your muscles do not contract, there is no scope for wrinkle formation. However, this peptide only works on the wrinkles formed by the expression lines and not the ones caused by pollution, sun exposure, and other factors (2). These are Trylagen, Trifluoroacetyl tripeptide-2, Silk fibroin peptides, Soybean peptides, etc. These peptides inhibit all the enzymes that break down collagen in your skin. In this way, your skin ages slowly. Most of these peptides usually prohibit the functions of Matrix Metalloproteinases or MMPs. This is a group of enzymes that break down collagen when it develops rapidly (2). These are Palmitoyl Oligopeptide-7, Copper Peptides, Palmitoyl Pentapeptide-4, Matrixyl-3000, etc. 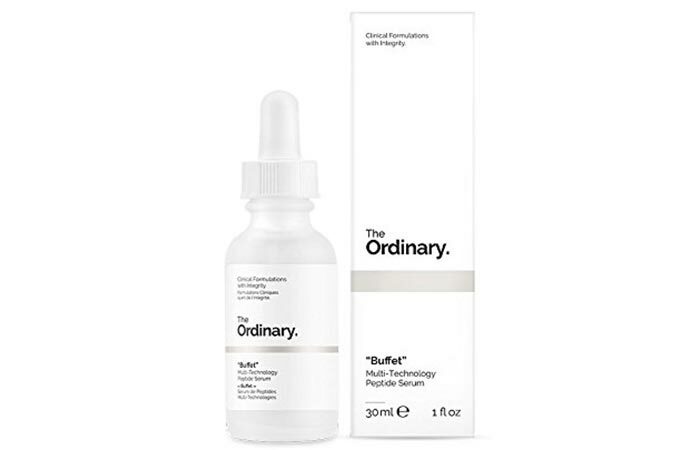 As the name suggests, these peptides usually send signals to the skin to boost the production of elastin, collagen, and any other protein that the skin might need to stay fresh and young. Now, the question is, how do you get these peptides? Here’s a list of foods you can include in your diet to increase the peptide content in your system. Milk is one of the most abundant sources of dietary peptides. The bioactive peptides contained in milk were the first food-derived peptides that were widely studied. 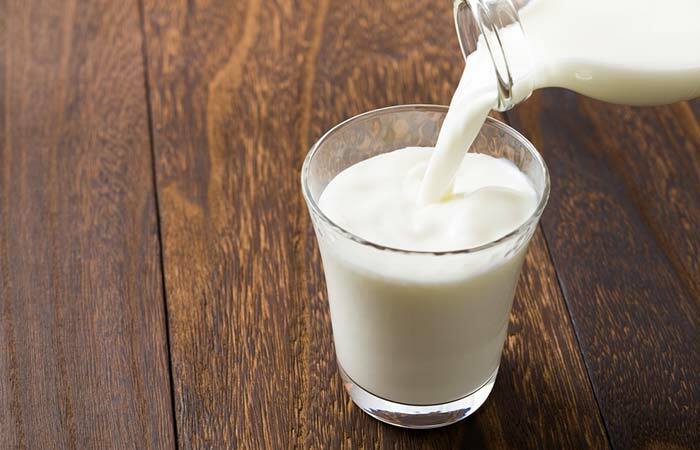 Milk is rich in whey protein and casein. After digestion, both these components can be processed into a number of peptides that have antimicrobial and therapeutic benefits (3). Just be careful as dairy consumption can cause inflammation. Choose organic and grass-fed varieties as much as possible. These are rich sources of dietary peptides. The peptides IRW and IQW have anti-inflammatory properties and also contain antioxidants. Soybean and many other beans contain peptides that are associated with numerous health benefits. A study claims that soybean peptides have antioxidant and anti-fatigue properties. 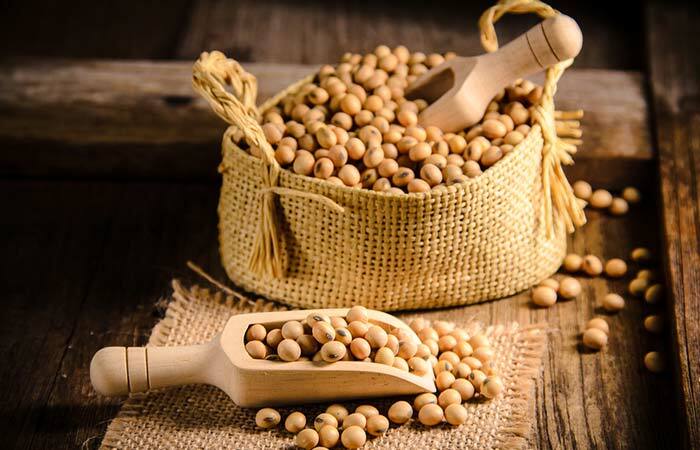 It also claims that soybean peptide can increase Type I collagen in your body (4). Fish, especially marine fish, is a rich source of essential peptides and proteins. The peptides in fish can prevent photoaging of the skin. The fish bones and skin are especially rich in collagen. Marine-derived collagen is mostly used in skin care products and is a very effective free radical scavenger (5). Even meat, such as pork, beef, and chicken, is a rich source of bioactive peptides (6). Nutrition is key to get healthy and glowing skin. Oral intake of peptides through food and supplements improves collagen synthesis and skin hydration levels and repairs your skin’s natural barrier (7). However, apart from nutritional supplements, if you want to try peptide creams and skin products, we have got you covered. 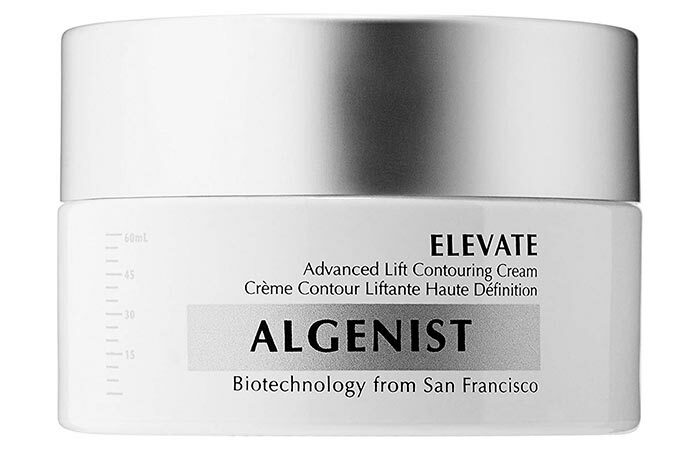 This cream contains alguronic acid and tripeptide-2 that minimize the signs of aging and help maintain your skin’s elasticity. 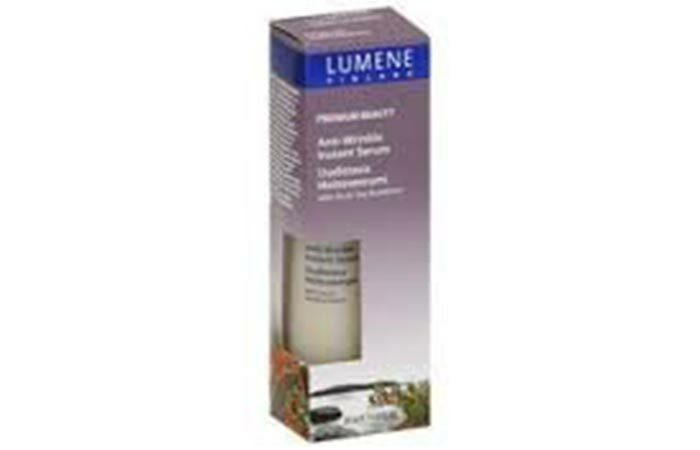 This peptide serum targets all signs of aging and keeps your skin youthful. The key ingredient of this serum is Matrixyl 3000, which plumps up your skin and boosts collagen production. This product contains collagen peptides that work on the visible wrinkles from the day you start using it. 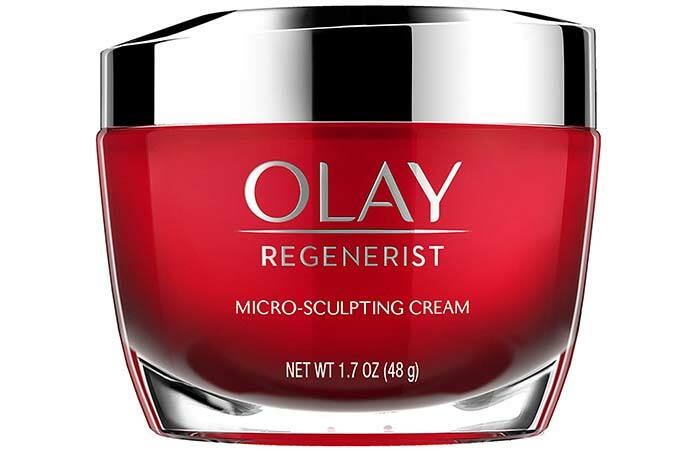 It has a moisture-binding formula that keeps your skin hydrated and plump. 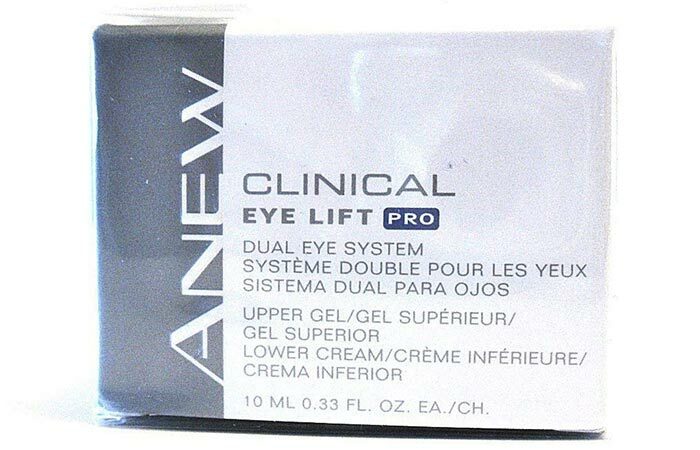 This product targets all the issues concerning your eye area, including sagging, dark circles, wrinkles, and puffiness. It contains peptides and arctic seabuckthorn that smoothen fine lines and wrinkles and keep your skin glowing. You do not want to apply a product to your skin and then find out that something is wrong. Hence, it is better to be aware of its side effects as well. To avoid this, always make sure to do a patch test before using a product. Also, before using any peptide, make sure to find out whether you are allergic to it or not. It is better to consult a dermatologist before using any skin care product. Peptides can be the best anti-aging treatment that you have ever come across in your life. However, do not buy just any product that claims to contain peptides, especially when you are already using anti-aging skin care products. Talk to a doctor and take time to introduce your skin to peptides. 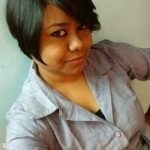 Have more doubts? Drop your questions in the comments section below. “Collagen-like peptide exhibits a remarkable..”, International Journal of Tissue Reactions, US National Library of Medicine. “Effects of soybean peptide..”, International Journal of Food Sciences and Nutrition, US National Library of Medicine. “Marine Fish Proteins and Peptides…” Marine Drugs, US National Library of Medicine. “Bioactive Peptides from..”, Nutrients, US National Library of Medicine.